This is a very simple recipe yet a tasty one. Santoshi prepares this daily at their Amma’s place and I enjoy it thoroughly. 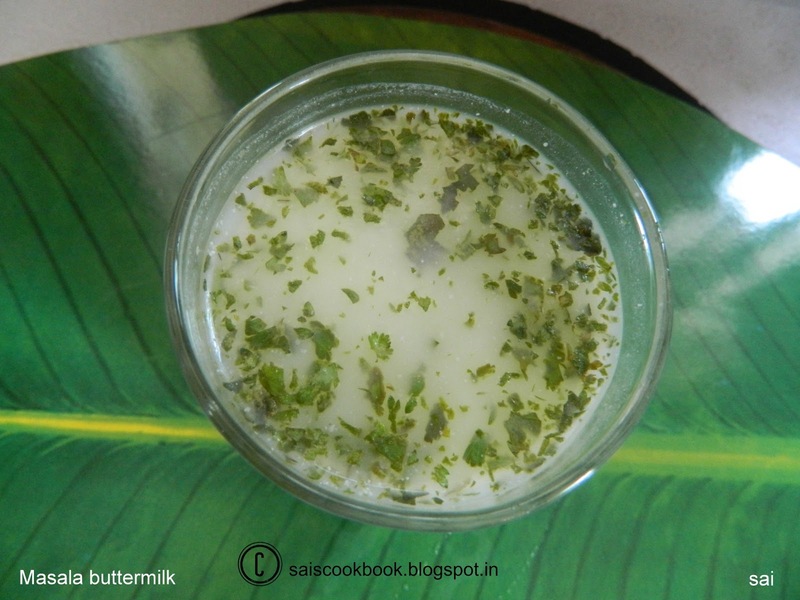 Remember,I had posted masala chaas during my initial days of blogging.This is very good for digestion and most important is we don’t add green chilly in this buttermilk.You may add green chillies if you like it to be spicy.You may also add 2-3 mint leaves along with the coriander leaves for the minty flavour. Make a coarse paste of coriander leaves,ginger and curry leaves,just run the mixer for a second. Strain the buttermilk,add the above paste,asafoetida,salt to taste and lime juice. 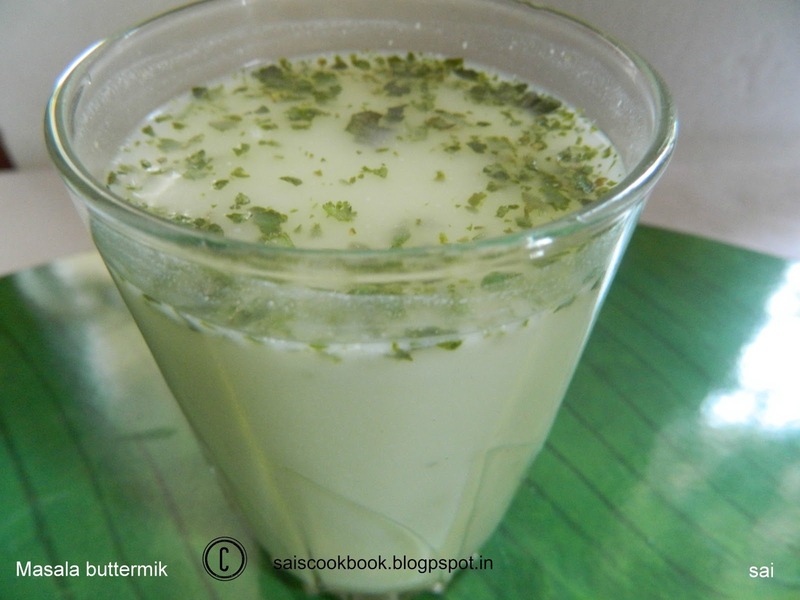 If the buttermilk is sour,don’t add lime juice,you may also add little milk to reduce the sourness. If you are using curds,add water,whisk it well and dilute it.